This is a great summertime accessory. A tape yarn made of 100% Cotton that's super soft. Gorgeous gradient colors that fade from dark to light. 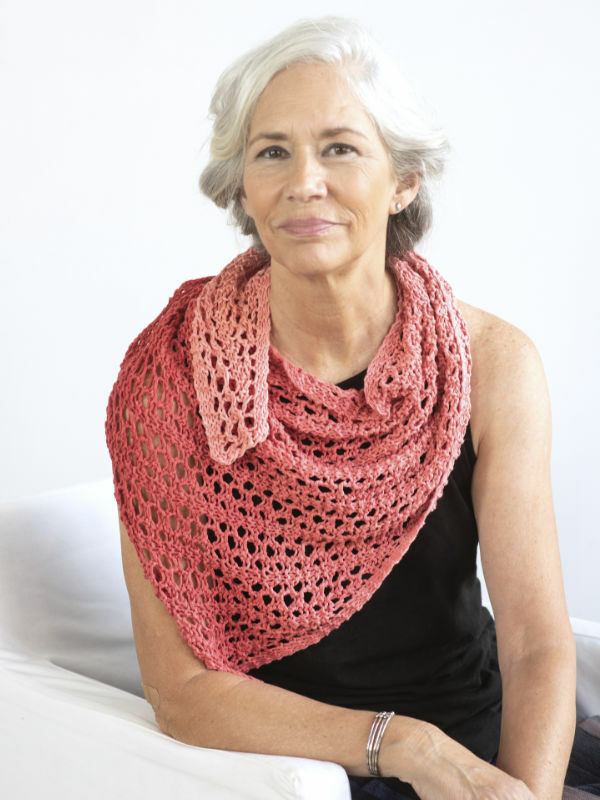 Just one cake of Berroco Estiva is needed to knit this airy shawl. Approximately 47" across top x 22" down center, after blocking.